We’re happy to have Masha back with us. Earlier this year she stopped by with her refashioned Fairy Tale dresses. Now she’s here to share her favorite Oliver + S pattern. Take it away Masha! Hi there! I’m Masha from the Itinerant Seamstress, and I’m so happy to be sharing my favorite Oliver + S pattern. Truth be told, I have special love for this pattern line. 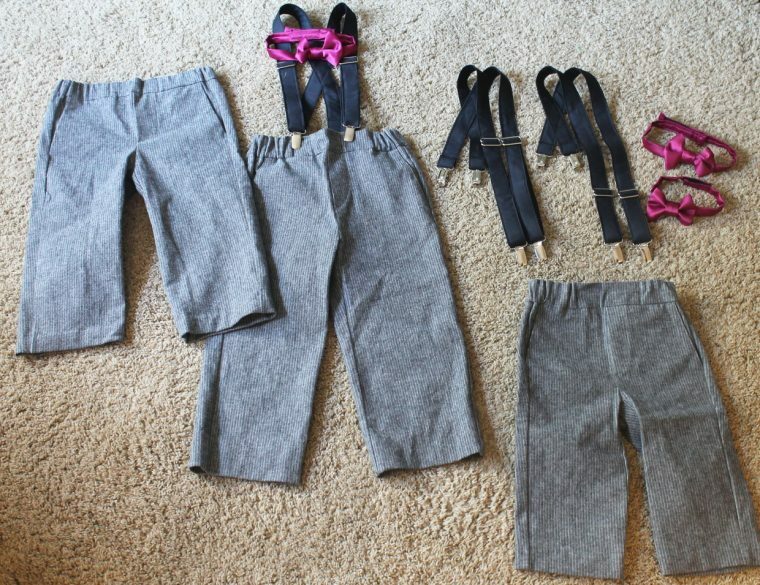 When I began sewing clothes for my oldest daughter back in 2011, Liesl was truly my sewing teacher. I started with the Sailboat pattern and took off from there. I did a quick tally from blog posts and memory, and I have sewed Oliver + S patterns more than 180 times. I own 26 Oliver + S patterns and have used them all at least once, with the lone exception of the Pinwheel Dress (which I’d better hurry up and make before my girls grow out of it!). Although I love many of the patterns, the winner has to be the Art Museum Vest and Trousers. I first sewed this pattern in 2013, for my oldest son’s first Christmas. I made it in a rather horrid green velvet that I bought at the local grocery store (yes!). My welt pockets were lopsided and the fabric fell apart as I worked with it, but a love story was born. 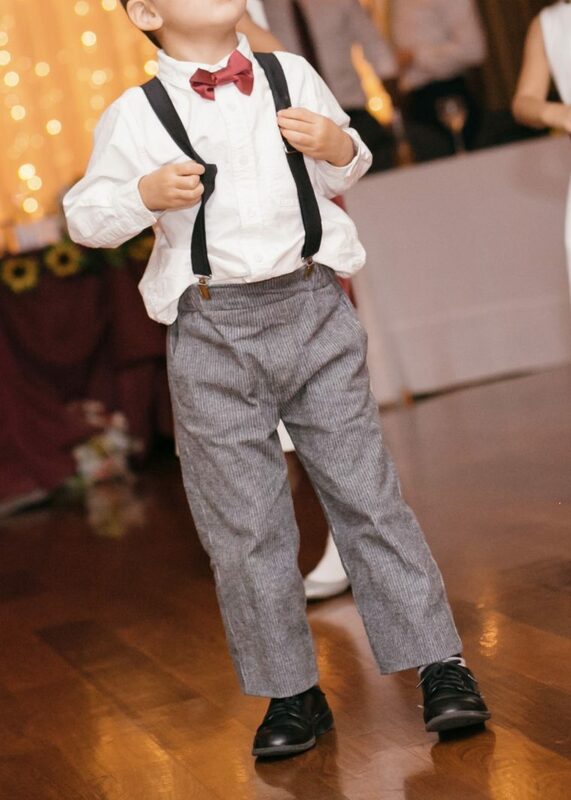 Nearly five years and another little boy later, this pattern is still my go-to for church and special-occasion clothes for my sons and nephews. 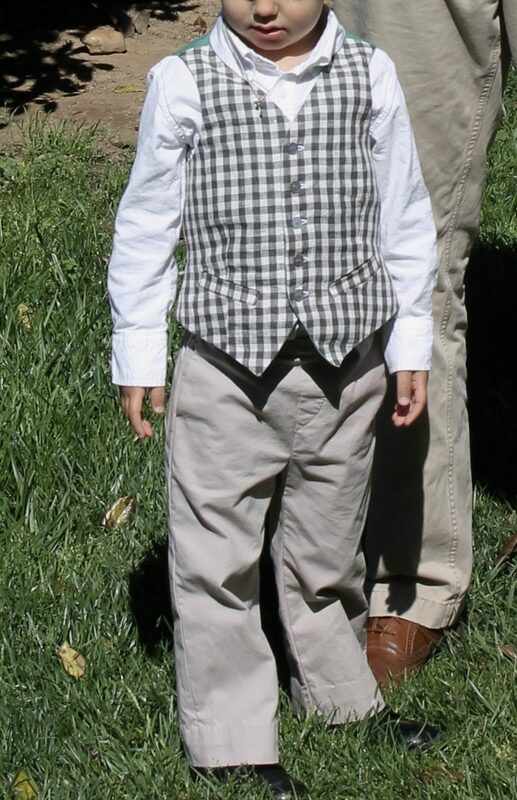 I’ve sewn the vest seven times, including for my sister-in-law’s wedding, when my son and the groom’s nephew were ring bearers. The pants, which I’ve sewn ten times now, have starred in two weddings. 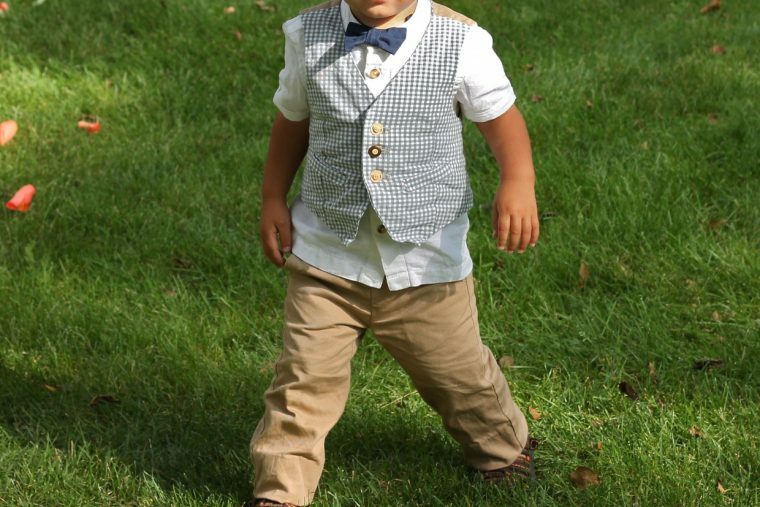 My son was 18 months old when he wore this, and he managed to break two of the buttons during the wedding! I love the side slant pockets as well as the slimmer fit; they are very smart on. I find the welt pockets fun to make, and not terribly time-consuming, though I’ve learned that I will be sorry if I don’t pay careful attention to my markings. I do usually leave off the belt loops, as my boys don’t wear belts and I don’t think it detracts from the look to leave them off. 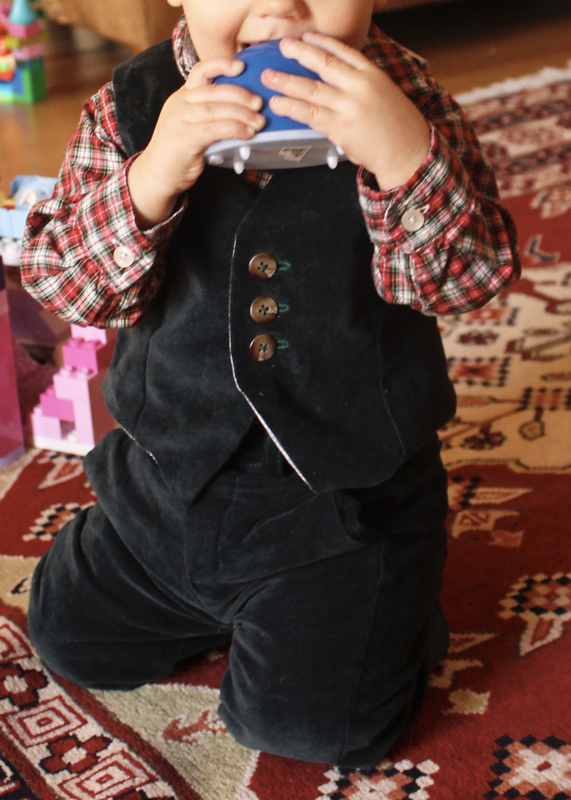 The vest is a relatively quick sew for such a nice result. If you leave off the welt pockets, you only have three pattern pieces to deal with and it comes together lightening-quick, as I did the first time I made the pattern. But even with the welt pockets, it still doesn’t take long. I have found that I need to lengthen the vest a bit for my oldest boy. The last time I sewed it for him was when he was 3, and I sewed a size 4 with 2” of length added by slashing and spreading the pattern. This allows me to add extra buttons, and I do love a long row of buttons on this vest for a little guy. I also really enjoy sewing the vest in a check or a stripe; the welt pocket really pops with the pattern turned diagonally. I sew everything pretty much as directed in the pattern, with one exception. I like to fully enclose the welt pockets on the pants. I do this by lengthening the inner pocket piece (I lengthen to 10.25” on the size 4 pant), and then when I fold the interior pocket over, I line the remaining raw edge up with the top of the pants, and baste in place. Then the pocket ends up being held in place by the waistband and the inside finish is entirely clean. If you’re using a fun print for the fabric, as I did on these wedding pants, this method also allows more of it to show on the inside. I don’t think I’ll get sick of this pattern any time soon. 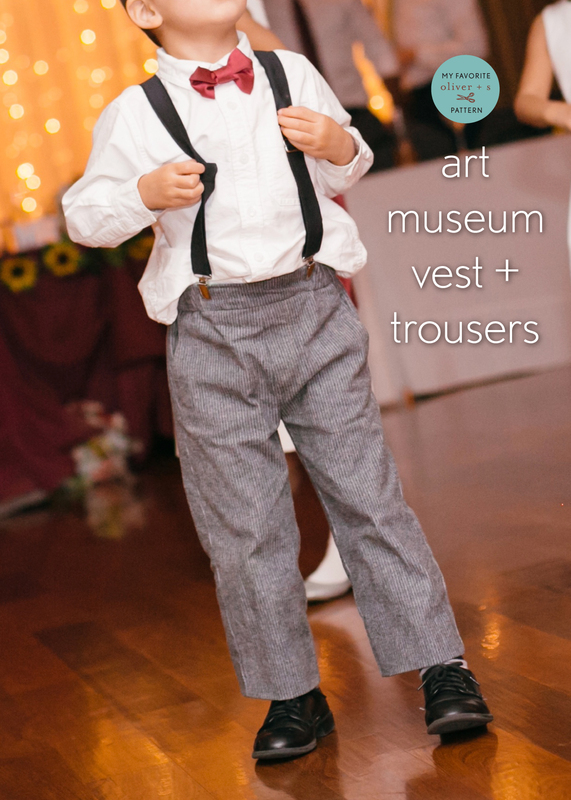 I’m pretty sure both my boys will be wearing Art Museum pants and vests every year until they outgrow the pattern! 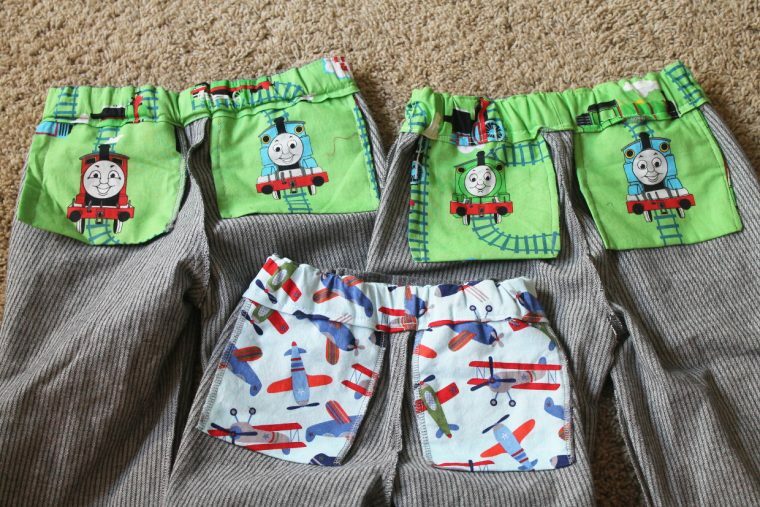 If you enjoyed this post, then be sure to visit our Holiday Sewing for Boys post. Just yesterday, as I was hanging laundry inside-out to air dry, I was studying the back welt pockets of a pair of Art Museum shorts and simultaneously studying the back pockets of my son’s hand-me-down Bonpoint brand, back welt-pocket shorts. I was wondering how I could clean up the “welt magic” in my next Art Museum pants and decided it looked too complicated to attempt. But, your technique is wonderful! I love it. …and this pattern, too! Thanks for sharing! 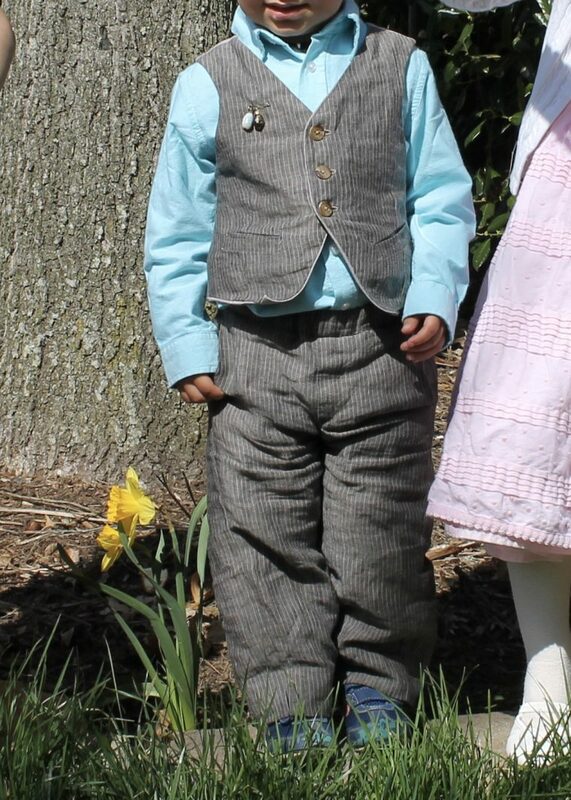 I made the vest and pants for my grandson when he was 5 now 22. the pants were a black check vest was lined in the black check but the top matched his sisters jumper which was a red and black plaid with teddie bears in the middle. He tried on the set with a funny look on his face I asked what was wrong he said I just cant do teddie bears so I said we can turn it inside out. He then asked if anyone could see the teddie bears. Oh I like your clever trick for covering the welts Masha. I’ve always thought they looked great from the outside but a bit messy on the inside. Must remember that for next time. Great blog post and good luck with your next world destination. I love the welt pocket tip! Thank you!